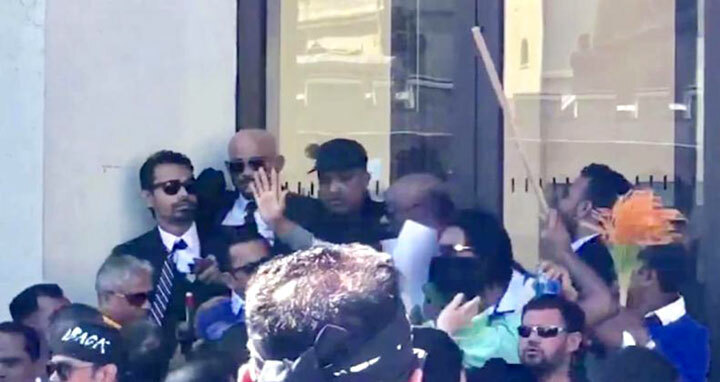 Dhaka, 19 April, Abnews: A group of leaders and activists of Bangladesh Nationalist Party (BNP) have allegedly attacked on visiting Deputy Minister for youth and sports Arif Khan Joy in London. The incident occurred in front of the Queen Elizabeth II Centre of Westminster on Wednesday afternoon (local time). However, the reason behind the attack has not been ascertained yet. London police detained two people in this connection. Sources said Prime Minister Sheikh Hasina is now in London to join the 25th Commonwealth Heads of Government Meeting (CHOGM). In protest of the tour of the Prime Minister, leaders and activists of the BNP are staging demonstration in front of the venue of the conference every day. The deputy minister came under the attack by BNP men when he was on the way to the venue on Wednesday afternoon. Some of the leaders of the party recovered him from the angry mob.